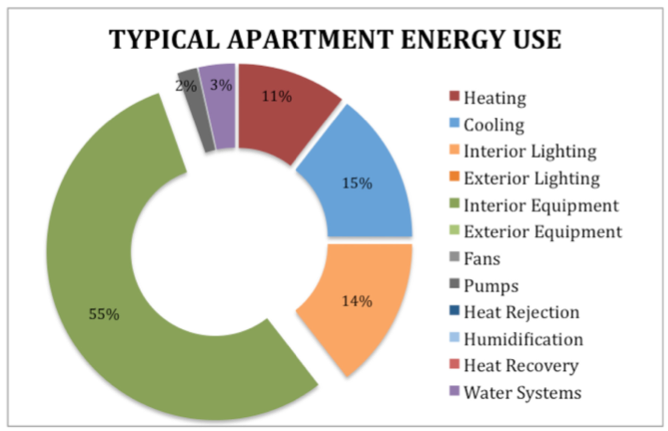 By benchmarking typical apartment energy use before starting an occupant engagement program, DHA will be able to clearly attribute changes to the relative success of their interventions. The payback on investing in occupant engagement is hard to pin down, but a program at Denver Housing’s Thomas Connole affordable housing building might help to change that. Though final numbers for reduced energy use aren’t yet in, analysis of an occupant engagement program there to date boasts a participation rate of 35%, and some lessons learned. The program, led by sustainability consultants YR&G, focused on decreasing energy consumption from lighting, HVAC, and plug loads in the 100 residential units of the building. The team began by studying the social context of the building, which led them to understand that the largely elderly and disabled population was most receptive to in-person communication and printed media. YR&G then held workshops to discuss seasonal strategies, such as optimizing operable windows during the summer and committing to a 74°F (23°C) thermostat setpoint in the winter. They reinforced the same concepts in the building’s monthly newsletter. Efforts to convince residents to sign pledges were less successful, likely because they may have been construed as a form of monitoring or policing. That’s according to an article by Jenny Carney, principal at YR&G, published recently in the Journal of Green Building. A measure to restrict thermostats to a maximum of 72°F in winter also backfired, as residents circumvented the rule with electric space heaters instead. However, this experience helped the YR&G team recognize that messaging around comfort and health was particularly effective, and they began offering fresh vegetables to those who attended their workshops and windowsill herbs to encourage residents to keep their shades open for daylighting. More widely applicable is the project’s focus on measurement and verification. The program is continuing through 2015, and energy use will then be compared to the baseline established in 2013–2014 as one measure of success.